This is the sale of our "forever" camper. It took me approximately 3 years to find this model with the history and condition, but due to unforeseen circumstances I'm having to put it up for sale. 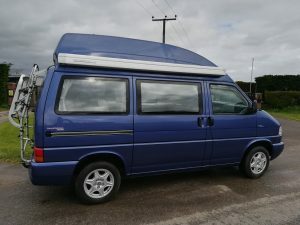 We purchased the vehicle approximately 3 and a half years ago from a couple of retired doctors who'd owned it for 9 years. 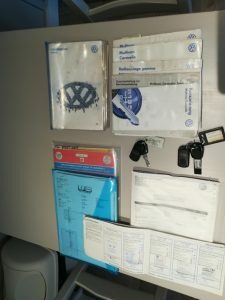 In 2008, it had developed an engine fault and was taken to Volkswagen where they paid to have a complete new engine fitted, new clutch and fly wheel, new turbo and a reconditioned fuel pump. The cost of this was approximately £5,500. 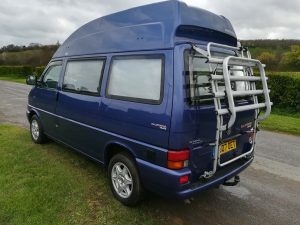 The vehicle was used by them to holiday across much of Europe. It has full service history, spanning from its start in Germany to the UK, much of which was through Volkswagen. 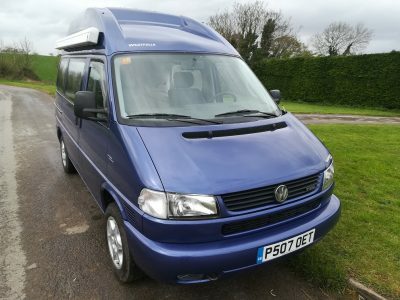 It comes with a rare metallic blue called Island Blue and has colour coded bumpers, front fog lights, internal heating, original Volkswagen bike rack, original California wheels, all the usual California extras which include fridge, 240V hook up, twin gas hob burner, sink with running water. 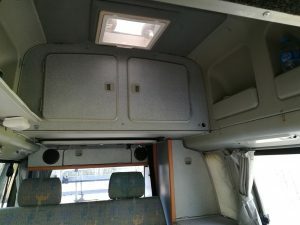 It also has internal lighting, rear double glazing, lots of storage in roof for chairs, bedding, etc, both front seats are Captain seats and table. 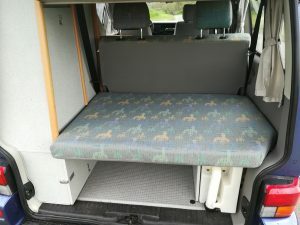 It also has the Cactus style fabric trim which was the later addition and the 2.5 TDi engine, which went on to be used in the incredibly popular T5 and it has the "bull nose" front of all the later models. 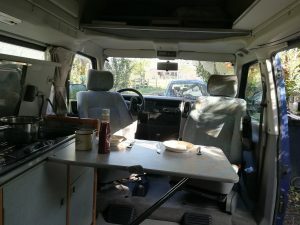 In the time that we've owned it, its been well maintained, had a new radiator, battery, brakes and alternator (done last year) and I would describe it as probably one of the best in the country. I have the full book pack, service book including documented receipts, 2 keys and key fobs. The cam belt and water pump were done just before we purchased it from the previous owners. If I'm being picky, the only 2 imperfections are there is a stonechip on the bonnet and a bit of light corrosion around the windscreen area (usual problem), but not excessive at all. 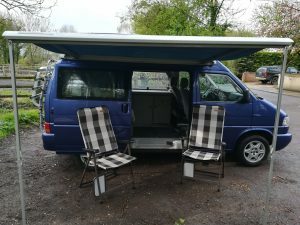 The vehicle has been absolutely superb in all the time we've had it and we've had many short and long trips in it. 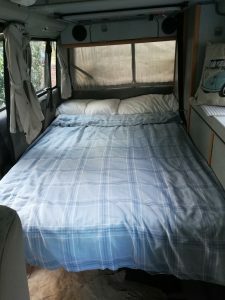 Great for camping and looks lovely. 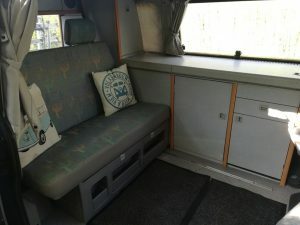 Please ask any questions you may have and I also have some extra photos as well. On completion of the sale, a deposit of £1,000 would need to be paid prior to collection - thanks.